Sephora Middle East Dubai (UAE) in cooperation with Studio Makeup House Belgrade is organising recruitment and selection of Beauty Consultants for Sephora stores in Doha, Qatar. Language: English compulsory, extra language is a plus. Verbal communication skills. Sales experience desirable however is not compulsory. Makeup experience is preferable. Client experience: Welcome, listen to, understand, shape and satisfy client needs, exceeding their expectations. Ensure the client’s satisfaction, even in difficult situations, turning to the management team when necessary. Win the client’s loyalty. Sales & operations: Collaborate in achieving sales objectives. Apply the sales policies and techniques established by Sephora. Apply the policies and procedures referring to products, testers, prices, merchandising, cash register area, personnel, etc. according to Sephora standards. Know how: Project an exceptional image and body language in accordance with the guidelines set by Sephora. Keep up-to-date on trends and products. Attend all the training sessions indicated and planned by Sephora University. Know and respect the policies, procedures and guidelines. Possess self-control and set an example. 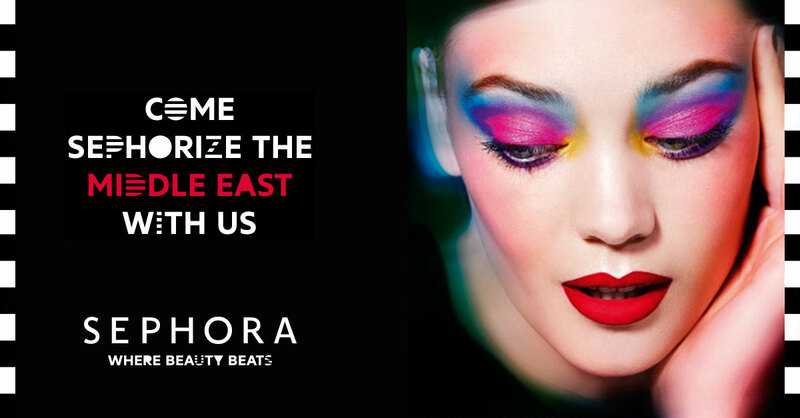 Only shortlisted candidates will be contacted and invited on interview with representatives of Sephora Middle East.